Spain is a popular destination, with Madrid, Barcelona and Seville all regularly featured on lists of must-see places (and for good reason). 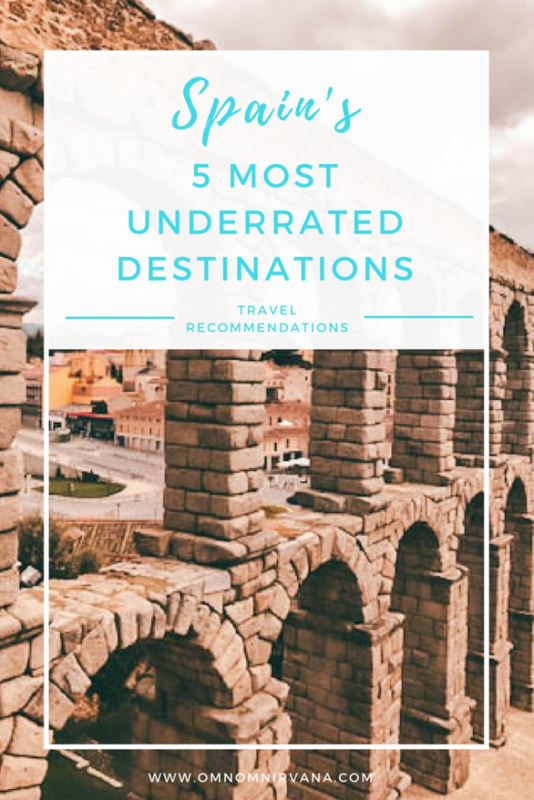 Even so, it’s worth looking beyond the usual suggestions when you’re planning your next trip — Spain has a lot more to offer, with culture, history and stunning scenery found countrywide. Here are five of Spain’s most underrated destinations. Located 30 minutes by train from Spain’s capital of Madrid and with something to see at every corner, it’s almost as if Segovia was designed to be a tourist hotspot — but it hasn’t gained the recognition it deserves just yet. 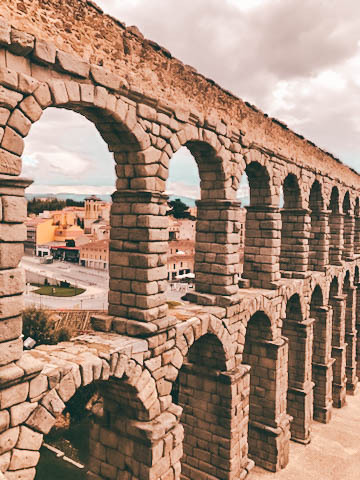 If you have the chance visit one site in Segovia, make sure it’s the Roman aqueduct, which was built in the 1st century and has been awarded the status of World Heritage Site by UNESCO. There’s a reason why it belongs in our list of Spain’s most underrated destinations. There’s also the Alcázar of Segovia, a beautiful palace situated between two rivers, and you can even go inside the city walls and climb to the top to admire the view from the ramparts. And don’t forget to stop for food; try the “cochinillo asado”- a roast suckling pig, which is a favourite with the locals. The city of Murcia is known for its delicious cuisine, so if you’re going to sample tapas or other traditional meals while you’re on your trip to Spain, make sure you do it here. You’ll be spoilt for choice when it comes to eateries, so try consulting a guide to the best local food to narrow it down. If you can bear to leave the bars and restaurants behind, there’s lots of history to be explored in Murcia. 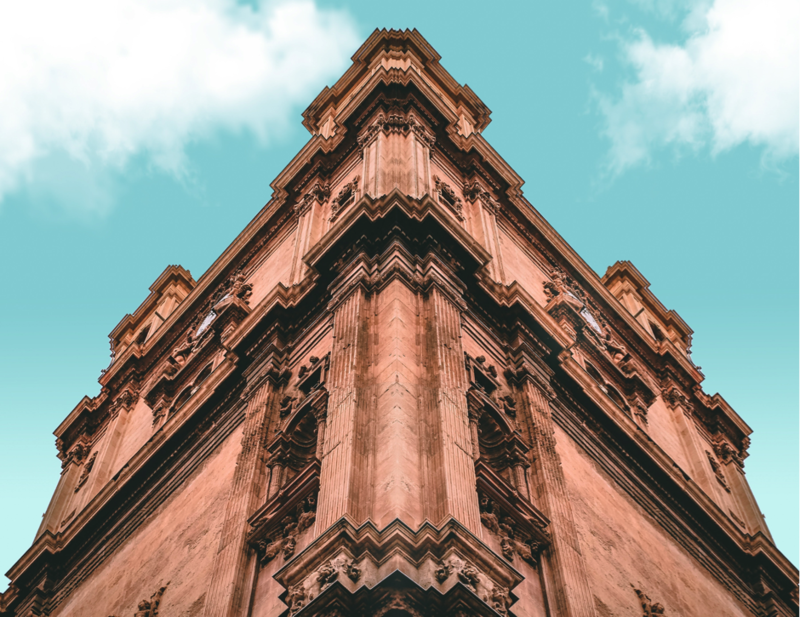 The basilica sits right in the centre of the city, so start there and work your way through the narrow, winding streets — you’ll find churches, museums and plazas along the way. The city was founded by the Arabs and much of the Islamic architecture can still be seen. Skip heading to Cordoba or Granada, and head to Arcos de la Frontera instead. One of Andalucía’s pueblos blancos (white towns, so named for their distinctive whitewashed walls), Arcos de la Frontera is built on the edge of a plateau, surrounded by a river. You could spend hours exploring the narrow, cobbled streets and admiring the beautiful views from Mirador, the best lookout point in town. Head to the reconstruction of a 16th-century magistrate’s house, found in Plaza del Cabildo, to sit with a coffee and watch the world go by; this is the perfect place for a quiet, relaxed getaway. How’s that for one of Spain’s most underrated destinations? Cabo de Gata is home to the Cabo de Gata-Níjar Natural Park, and notable for being the only desert in Europe. Take a hike along the rugged coastline to see stunning beaches, local flora, and volcanic rock formations, and look out for the abandoned fishing boats, left as a reminder of how life in the village used to be. As well as being an ideal destination if you want guaranteed sunshine, Cabo de Gata is also an excellent diving spot. The water is warm and clear all year round, so it’s easy to the marine life — there’s over a thousand species of plants and animals beneath the surface, including giant grouper, barracuda, starfish, octopus, and sea urchins, not to mention shipwrecks and coral reefs to explore. Don’t forget: You need a permit to dive in Cabo de Gata. Secret Traveller recommends getting PADI-certified, which allows you to dive almost anywhere in the world. Rounding off our list of Spain’s most underrated destinations, The capital of Spain’s Castile region, Burgos is definitely a contender for your next city break. Marvel at the gothic cathedral, which is an UNESCO World Heritage Site standing at 228 feet, or pay a visit to the tomb of El Cid, the celebrated Spanish military leader. Burgos’ natural beauty is not to be missed either. Head to the Old Quarter, where you’ll find lots of green space, or take a stroll along the Paseo de Marceliano Santa María, a riverfront walk. Once you’ve worked up an appetite, be sure to try “morcilla”, a blood sausage. It’s produced all over Spain, but Burgos’ offering is rumoured to be the best. Note: This post was made possible by Trixia Palmer and may contain affiliate links. Cover image is by Unsplash. Click the below image to Pin! ← Is keto good or bad for you? Wow, awesome photos and destinations, I lived in Malaga for 9 years so strongly recommend it! Oh my god spain has sooooo many hidden gems it s simply unbelievable ! There are many more, like Toledo (60 km from Madrid), Santiago de Compostela in Galicia (NW), Salamanca, Zamora (Castille and Leon) and others. There are also many well-conserved castles, romanesque churches and monasteries of the middle ages almost everywhere. You are welcome, enjoy Spain.